Judge Sofaer specializes in arbitrating complex commercial disputes. He has extensive experience in the federal courts. He served as a U.S. District Judge in the Southern District of New York from 1979 until 1985. From 1967 to 1969, he was an assistant U.S. attorney in the Southern District of New York, during which time he tried twenty cases and argued five appeals in the Second Circuit Court of Appeals. He was a clerk to Judge J. Skelly Wright on the U.S. Court of Appeals in Washington, D.C. from 1965 to 1966, and to the Honorable William J. Brennan Jr., Associate Justice of the U.S. Supreme Court from 1966 to 1967. 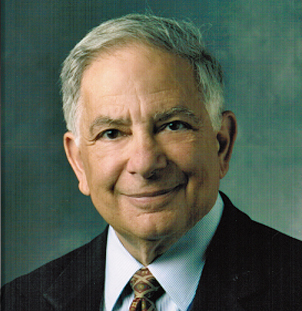 From 1985 to 1990, Judge Sofaer served as Legal Adviser to the U.S. Department of State, representing the U.S. in international arbitrations and in cases before the International Court of Justice. He was also principal negotiator in several international claims. Judge Sofaer was awarded the Distinguished Service Award in 1989, the highest State Department award given to a non-civil servant. After leaving the Department of State, Judge Abraham Sofaer practiced law at Hughes, Hubbard and Reed in Washington, D.C., from 1990 to 1994. He has served as an arbitrator in many cases, both independently and under the auspices of leading domestic and international arbitration services. A veteran of the U.S. Air Force, Abraham Sofaer received an LL.B. degree from New York University School of Law in 1965, where he was editor in chief of the law review and a Root-Tilden scholar. He holds a B.A. in history from Yeshiva College (1962). Judge Sofaer currently serves as the George P. Shultz Distinguished Scholar and Senior Fellow at the Hoover Institution, Stanford University. Areas of Expertise: commercial litigation and arbitration; international law; insurance litigation; administrative law; corporate governance. Frigitemp Corp. v. Bernstein, 34 B.R. 1000 (S.D.N.Y. 1983), aff’d, 753 F2d 230 (2d Cir. 1985)(bankruptcy). Arbitration Services: Federal Arbitration, Inc. Founder & Chairman; ICC; AAA; ICDR; CPR; LCIA; and other ad hoc processes.